Having always had the desire to build their own home, the opportunity arose for Mr and Mrs Saffer to fulfil their dream when out for a walk one day, Mr Saffer came across a pre war chalet bungalow for sale down the road from where they lived. 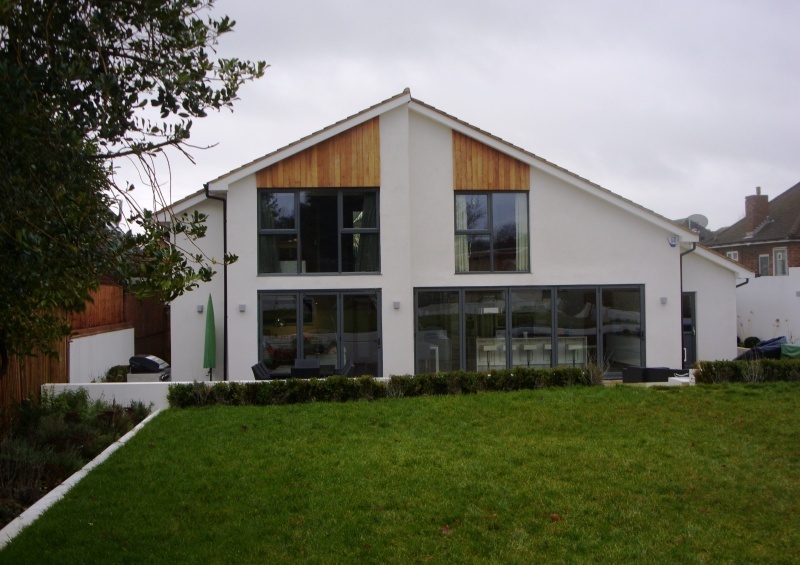 The appeal of modern living was an important factor when choosing the style of property to build. 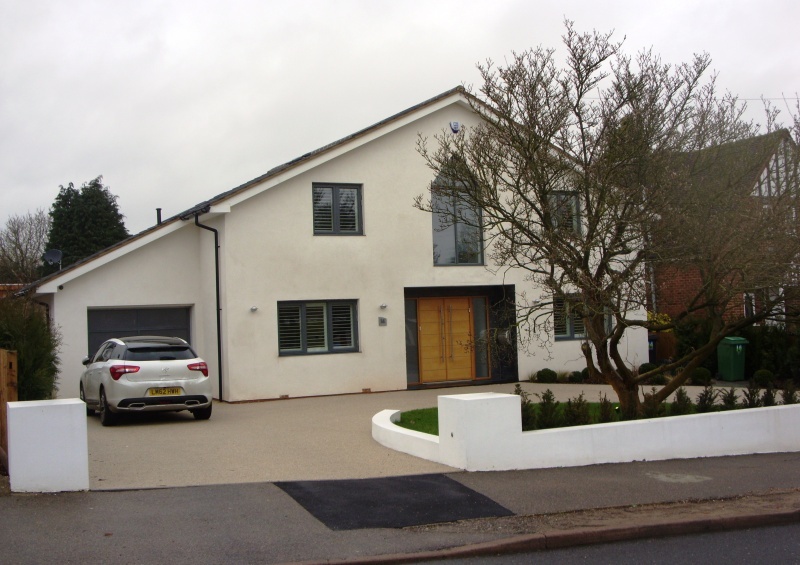 Mr and Mrs Saffer wanted to achieve a sociable house, whilst at the same time having individual space both on the ground and first floor. They achieved this on the ground floor by having a spacious kitchen, dining and living area as well as a separate study and snug room. On the first floor there is a generous sized landing with a vaulted ceiling, this well lit area acts as an ideal gallery for the family’s art pieces. All four bedrooms benefit from having en-suites, which with having three children eliminates the fight over the bathroom in the morning. 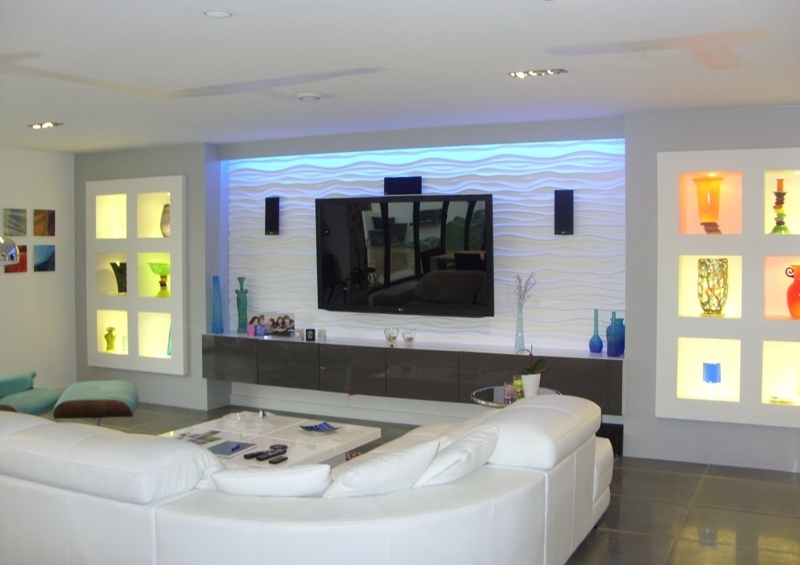 The second reason for choosing a modern style was the opportunity to use a variety of materials such as the curvy tiled feature wall in the living area, to the use of wood, glass and metal on the staircase. This theme was continued with the inclusion of 1920s reproduction furniture, a sleek modern fold away bed in the study and contemporary light fixtures making this a truly individual and stylish house. 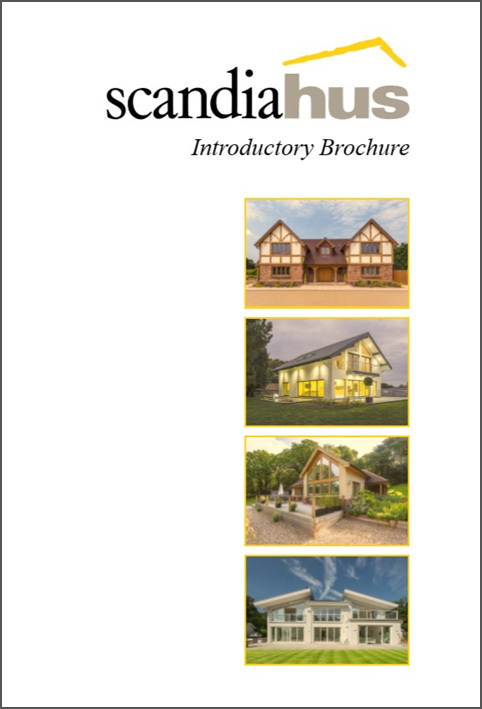 After researching the options available regarding self build, Mr and Mrs Saffer chose Scandia-Hus to help them with their project and were especially impressed by Scandia-Hus’ design fee, which they thought was incredible value. The first design for their home was refused planning permission, but after a complete redesign by Scandia-Hus, planning permission was granted. 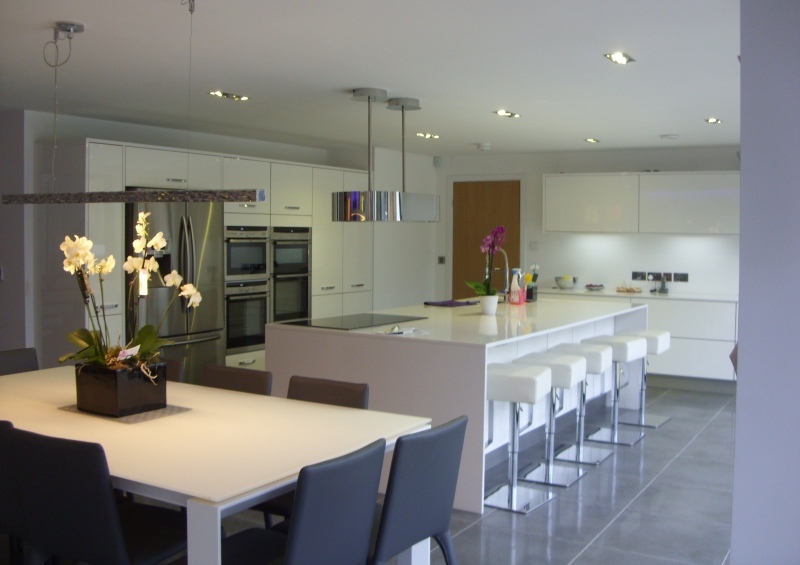 The contractors who were chosen for the build had not undertaken a complete house build before, so Mr and Mrs Saffer visited several of their large extension projects and were impressed by their attention to detail. With assistance from Mr Saffer the contractors completed the house on budget and on schedule. Although the landscaping did go over budget it has transformed an over run garden into a stunning space for all the family to enjoy. Mr Saffer’s top tips for people who are looking to build their own home is to research and to make use of the free apps that are available. A prime example for this house was the lighting system Mr Saffer had received a large quote for the lighting system, however when he researched this online, he found a wireless system for a fraction of the price and was able to download a free app to his mobile to provide him with the ability to control lighting wherever he is in the property. The family are delighted with the results and when asked if he would build a house again Mr Saffer said absolutely that he would, but that they loved their new home so much that it would have to be the right plot to entice them.